Time to check out another power bank from Xiaomi, this time it is probably the most interesting product of this kind they are currently offering – the 10000 mAh Xiaomi Mi Power Bank Pro (PLM03ZM). It is a compact and nice looking power bank with aluminum case that features USB type-C charging port for faster charging of the power bank’s battery and supports up to 18W fast charging both ways. The power bank supports the Quick Charge 3.0 technology by Qualcom for faster charging of compatible smartphones and there is automatic smart voltage switching between 5V, 9V and 12V (depending on the device you connect) in order to reach up to 18W input and output if supported. Also the PLM03ZM apparently also supports HiSilicon’s Fast Charging Protocol used by Huawei, so compatible smartphones can also benefit from faster charging. Do note that there is a PLM01ZM version of that power bank that is a bit older and Quick Charge 2.0 and no support for HiSilicon’s Fast Charging, so make sure you heck the model number just to be sure you are getting the newer PLM03ZM version that we have tested. – Safety protection: Supports protection from over-voltage (input and output), over-current (input and output), short circuit, over-charge, over-discharge, and battery Positive Temperature Coefficient (PTC). With the 10000 mAh Xiaomi Mi Power Bank Pro (PLM03ZM) we have performed two tests, one with with 1.0A constant current discharge and one with 2.4A as the maximum rating for the product for 5V. Since the power bank uses automatic smart switching between 5V, 9V and 12V if it detects a compatible device we were not able to test at the higher voltages unfortunately. Since we got really good results at 5V we expect that the performance with higher voltage and lower amps – 12V 1.5A and 9V 2A should also be really good. 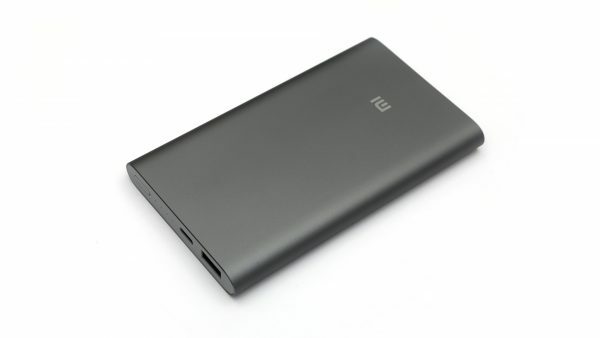 At over 7 Amps of usable capacity at both of our tests we can clearly say that the performance of the 10000 mAh Xiaomi Mi Power Bank Pro is really good, making the whole product a very nice overall choice for a mobile power bank with high capacity. The TP-LINK TL-PB50 is a 10 Ah power bank with dual USB device charging option featuring a single 1A 5V USB and one 2A 5V USB ports. The mobile power bank is compatible with a number of different mobile deices such as smartphones, tablets and other gadgets that can be charged through standard USB ports with 5V. The PB50 power bank is equipped with a chip that lets it identify iOS, Android, and other USB devices and charge them at the fastest possible speed up to 2A. 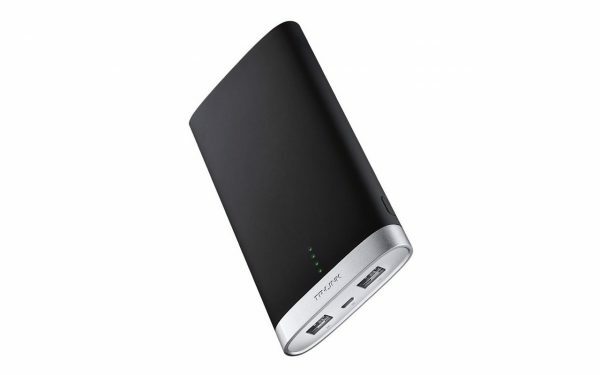 The battery inside the power bank is a single cell 10000 mAh LG-made Lithium-Polymer battery with a 500-charge lifespan according to TP-Link. The device is equipped with a short circuit protection, over-voltage and over-current protection, over-charge and over-discharge protection as well as an over-heating protection with a thermal sensor attached to the battery cell. Here is how the discharge curve looks for 1A discharge and for 2A discharge from the power bank and the capacity you can expect to get out from the 10 Ah mobile battery, pretty much the same graph in both cases with very little voltage fluctuations, apart from the slight difference in usable capacity. With 1A discharge the usable capacity is slightly higher at 7371 mAh or 35.74 Wh, while with 2A discharge you can expect to get 7073 mAh or 34.34 Wh. That is slightly more than 70% from the battery cell capacity and this is considered a good result for a power bank where the input comes from a single cell 4.2V LiPo battery (when fully charged) that gets its voltage dropping lower as it gets discharged and a step up power converter needs to manage the output voltage stable at about 5V. The discharge curve in our tests shows a very stable output voltage up until the end of the discharge cycle and that is a good sign.